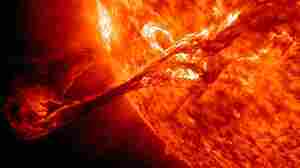 January 9, 2014  NOAA's Space Weather Prediction Center says the Earth-bound coronal mass ejection from Tuesday's X-class solar flare was "slightly overdue." January 8, 2014  Tired of reading about intensely cold temperatures? 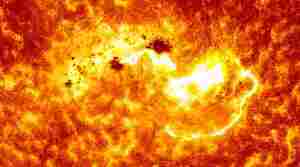 How about an intense solar flare that's being blamed for disrupting a NASA mission? The good news is that the flare is also expected to expand the viewing field of the aurora borealis. 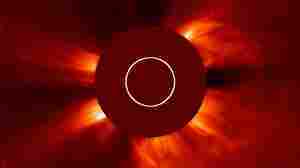 September 5, 2012  Watch as a massive flare shoots from the sun and stretches a half million miles into space. Friday's event dealt Earth's magnetic environment a "glancing blow," NASA says.